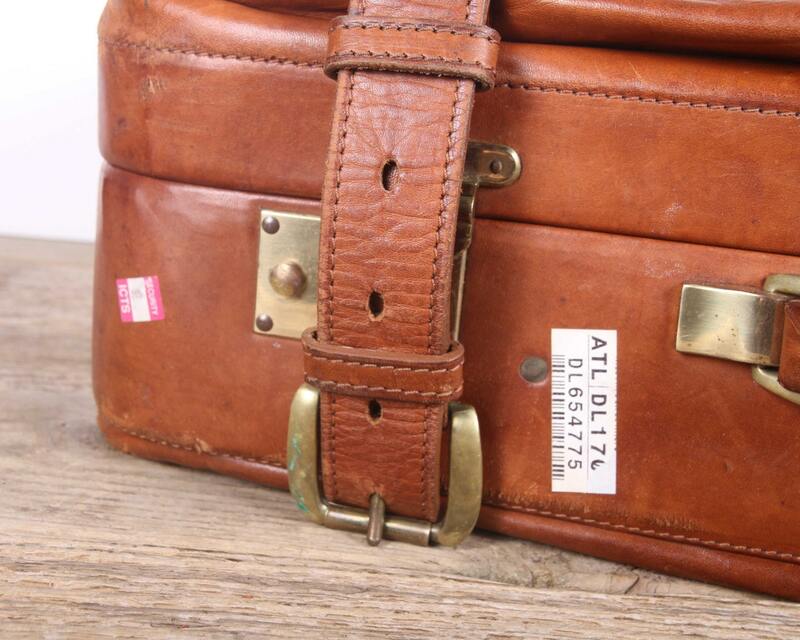 This is a rare, vintage, leather suitcase from Tanner Krolle! 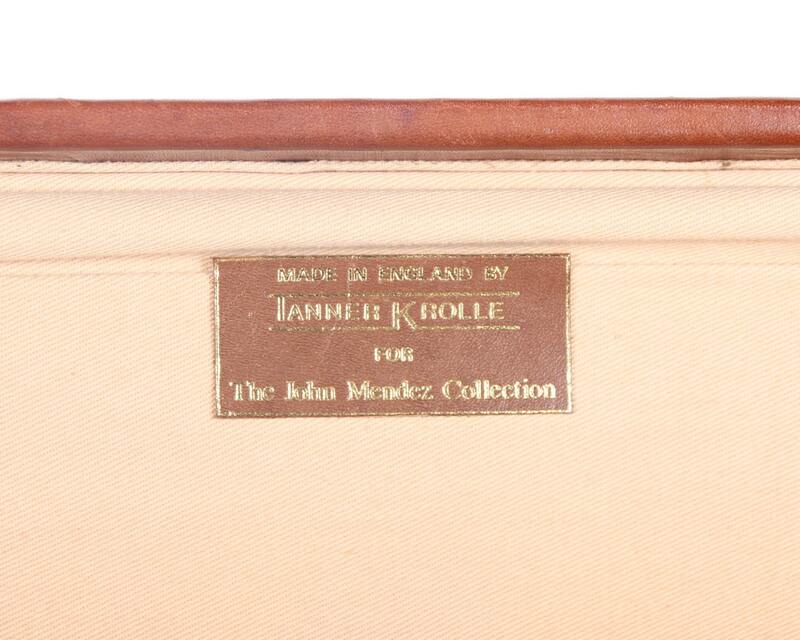 The leather suitcase was produced in England for The John Mendez Collection. 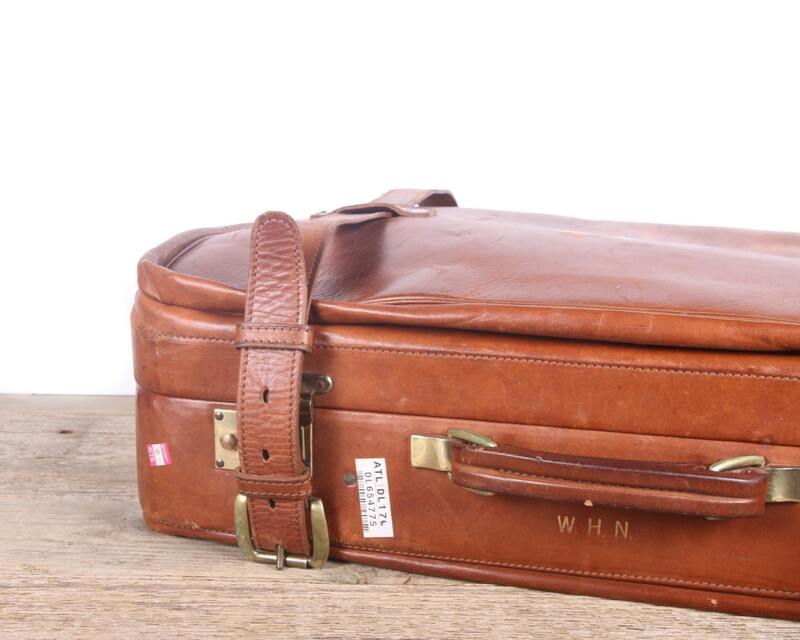 The suitcase features a hard body frame with a soft leather front and back. 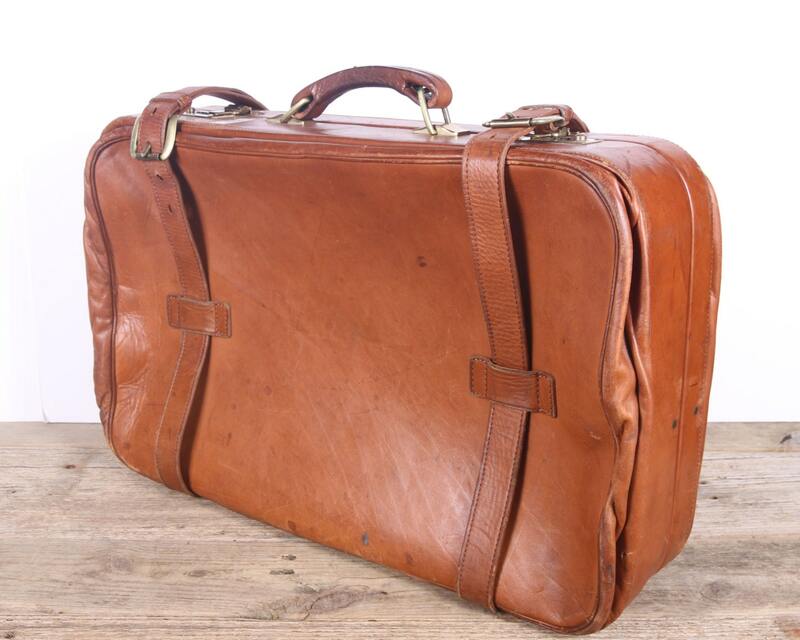 The suitcase measures roughly 25" wide x 16" tall x 6" deep. Contact us with any questions. 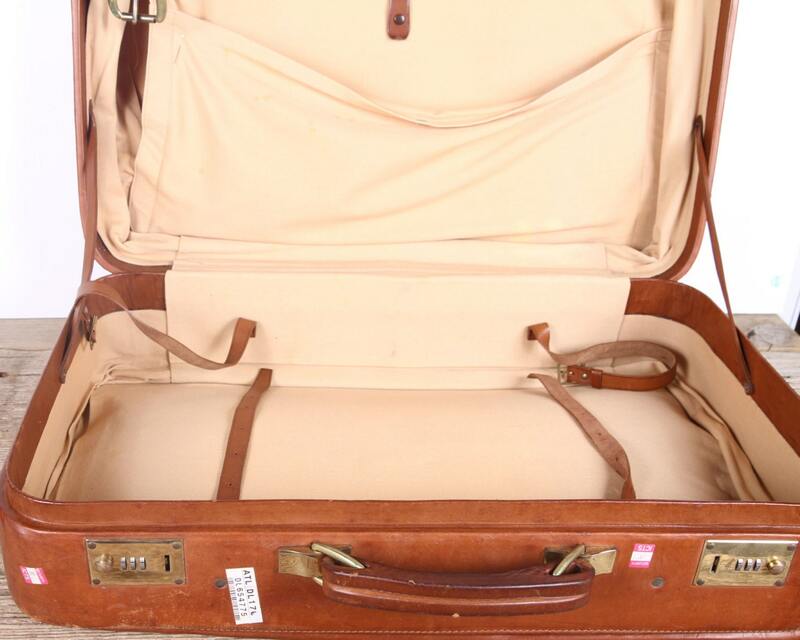 CONDITION NOTE: The vintage suitcase does show surface wear from use. A combination is not included for the locks, but it does open and close. - We want you to be happy with your purchase! If your aren't, return it within 10 days for a full refund (minus shipping cost).